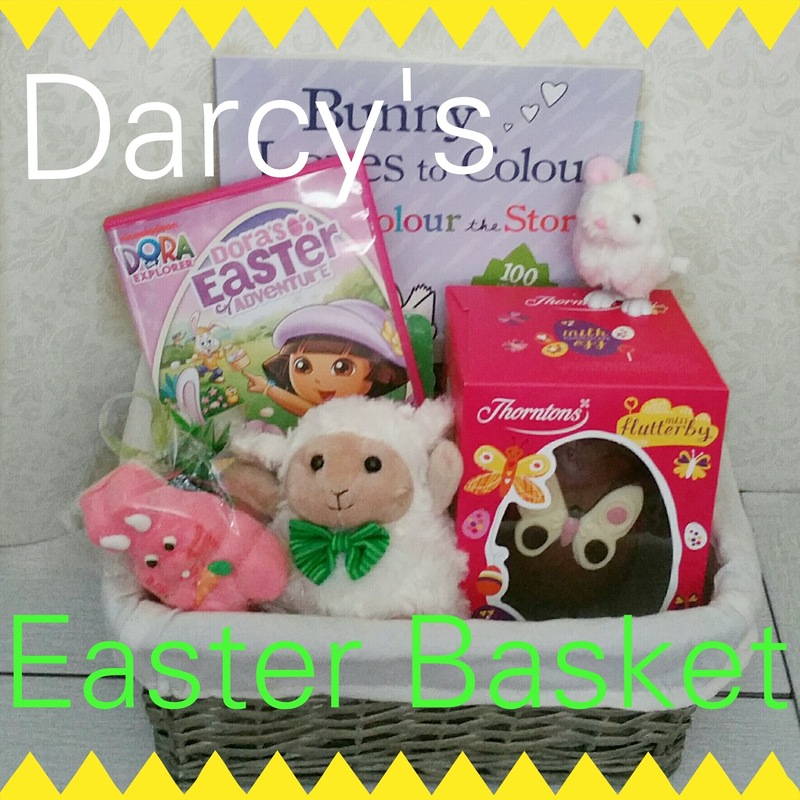 Last year was the first time I put together a Easter basket for Darcy which was lots of fun. So I couldn't wait to make one this year for her especially now she is older. 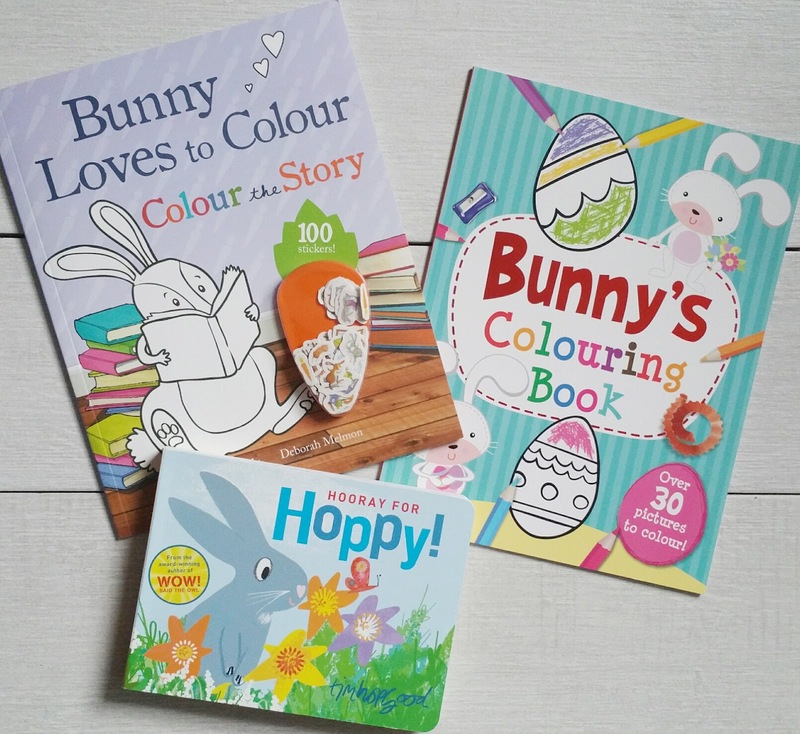 If you are still looking for ideas what to put in your little ones Easter basket look no further. 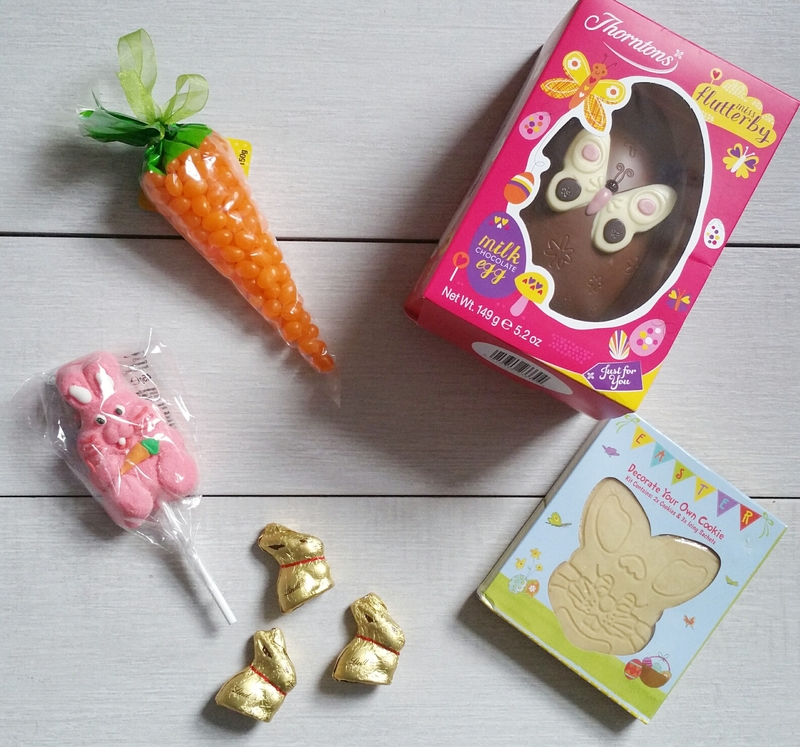 I know Darcy will be getting lots of chocolate treats from relatives and friends, so I wanted to try and limit the amount I put in her basket. 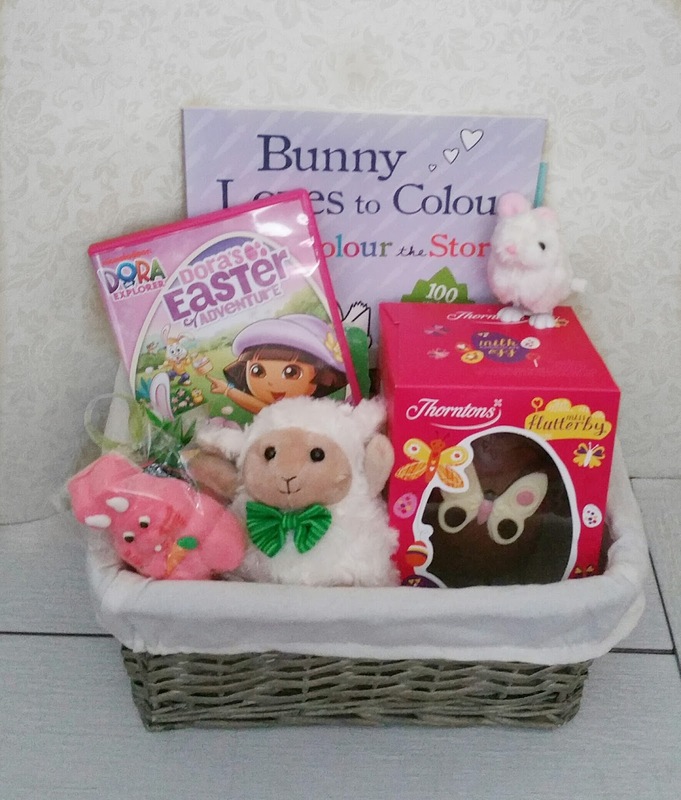 Obviously I couldn't put together a basket without an Easter egg, I also got her some jelly beans, a bunny marshmallow lolly and a "decorate your own cookie" all form Home Bargains. Darcy is always pointing out Lindt bunnies so I got her some whilst shopping in Sainburys. They are currently 3 for 99p at the moment. The Works is always my go to for books and art materials. Darcy is really into colouring at the moment so I got her two Activities book. 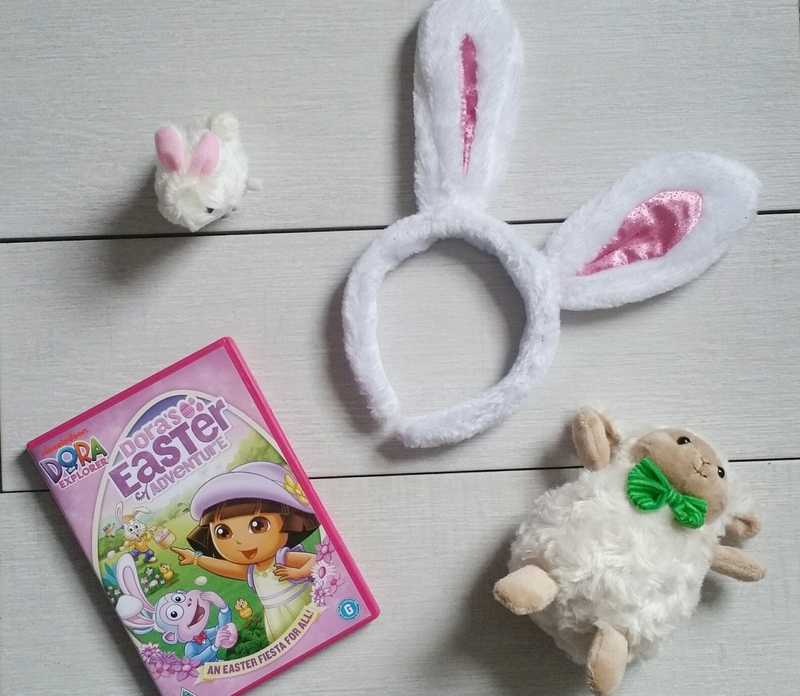 I'm keeping the theme going from last years Easter basket and have got her a Easter theme book as well. For the finishing touches I got Darcy some bunny ears and a hopping bunny from Home Bargains, a Dora The Explorer Easter theme DVD which is over a hour and a half long. This will keep her entertained whilst I'm cooking the roast and last but not least a little sheep from The Works.